This entry was posted on April 25, 2014 by Eric Landmann. Why use aCGH to characterize your cell lines? 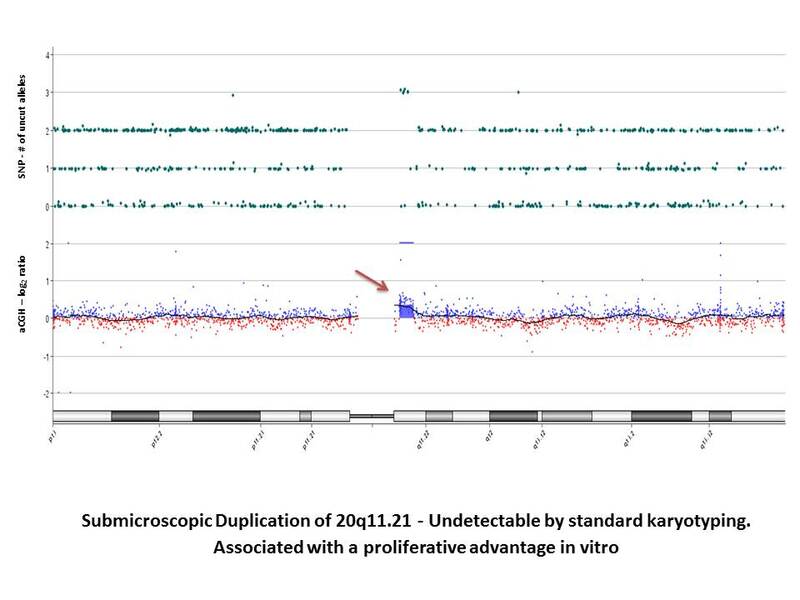 Array Comparative Genomic Hybridization (aCGH) is a high resolution karyotype analysis solution for the detection of unbalanced structural and numerical chromosomal alterations with high-throughput capabilities. Addition of SNPs can also detect polylpoidy, loss of heterozygosity, and uniparental disomy. CLG offers two different array comparative genomic hybridization arrays to help characterize your cell lines. Cell Line Genetics utilizes Agilent’s Microarray platform. Each sample must be accompanied by its own Test Requisition Form. Fill out a requisition form here.